According to archaeologist Stephen H. Lekson, much of what we think we know about the Southwest has been compressed into conventions and classifications and orthodoxies. 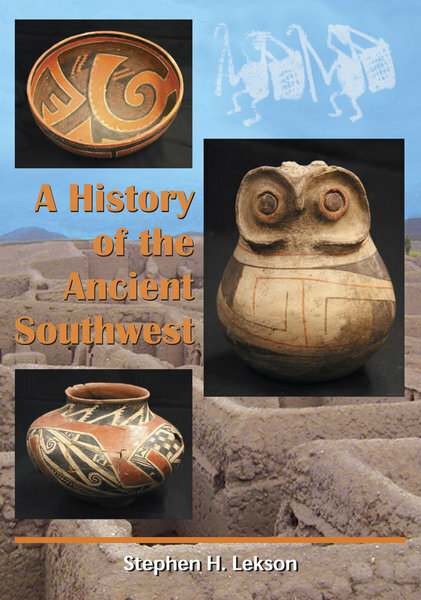 This book challenges and reconfigures these accepted notions by telling two parallel stories, one about the development, personalities, and institutions of Southwestern archaeology and the other about interpretations of what actually happened in the ancient past. While many works would have us believe that nothing much ever happened in the ancient Southwest, this book argues that the region experienced rises and falls, kings and commoners, war and peace, triumphs and failures. In this view, Chaco Canyon was a geopolitical reaction to the “Colonial Period” Hohokam expansion and the Hohokam “Classic Period” was the product of refugee Chacoan nobles, chased off the Colorado Plateau by angry farmers. Far to the south, Casas Grandes was a failed attempt to create a Mesoamerican state, and modern Pueblo people—with societies so different from those at Chaco and Casas Grandes—deliberately rejected these monumental, hierarchical episodes of their past.